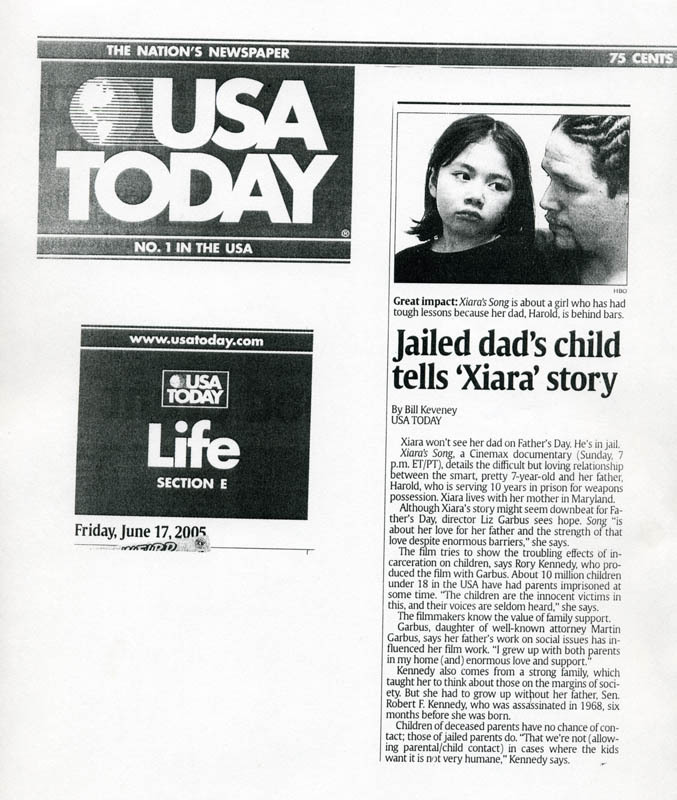 Seven-year-old Xiara’s father, Harold, has been in and out of jail her whole life, and his current sentence will keep him locked up until she’s 17. 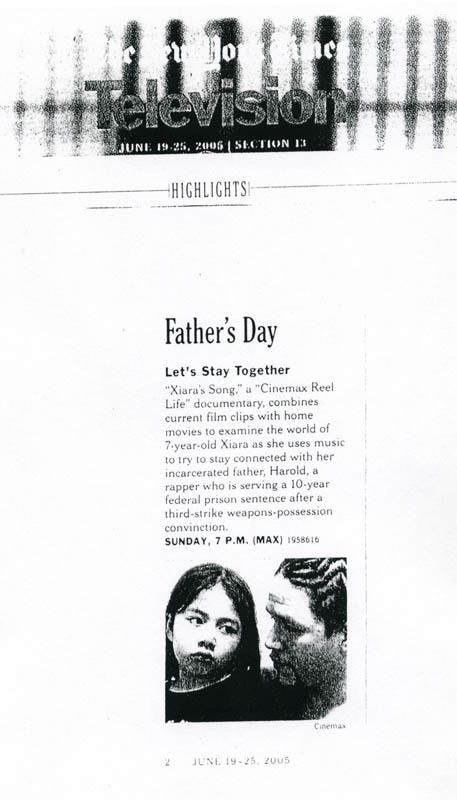 Xiara’s Song intimately documents a young girl’s struggle to stay connected to her father, and Xiara’s mother’s struggle to keep her from following in Harold’s dangerous footsteps. Ten million American children today have a parent in prison. In this verite documentary Garbus combines present day footage with home movies to explore a father-daughter relationship under extraordinary circumstances. Xiara’s Song premiered on Cinemax in June 2005.